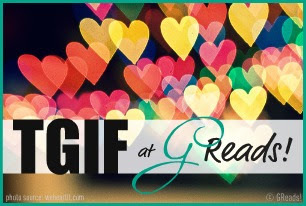 Win $100 in Gifts from GoneReading, plus $25 from Amazon! This is an awesome giveaway so please don't miss out. All you need to do is register! Follow Gone Reading on Facebook or Twitter to follow along! Thanks to the awesome Laure from Hatchette Children's Books, here is the 3rd excerpt of Slated by Teri Terry. The last excerpt will be posted on the 3rd May so stay tuned! I drift through trees, spin and sprawl down on grass and daisies on the ground, alone. I stare at clouds drifting across the sky, making half known shapes and faces. Names slip away if I grasp at them, so I let them wash past: just lie still and be me. It is time. Like mist I bleed away until I am gone. Trees and sky are replaced by the darkness of closed eyelids, tickling grass by solid bed. Quiet. Why is it so quiet? My body knows it is later than 5 am but no buzzer has sounded, no breakfast trolleys clang up and down the hall. I lie very still, hold my breath, and listen. Gentle, even breathing. Close by. Did I black out last night, is there a Watcher in my room? If so, it sounds like they sleep rather than watch. There are faint cheerful sounds in the other direction, a distant rise and fall, like music. Birds? Something warm by my feet. I’m not in my room at hospital. My eyes snap open as I remember. Not a Watcher at all across the room: Amy, sound asleep and breathing deeply, like Sebastian at my feet. She is a new sort of the same thing, maybe. I slip quiet to the window, pull the curtain. Red streaks cross the sky, pockets of pink in wisps of cloud, like corrugated twists of metal, light shining through on grass and wet leaves, in wild splashes of colour. Orange, gold, red and all in between. My hospital window faced west. Sunsets I’ve seen, mostly blocked by buildings, true, but never a sunrise. window open wide, lean out and breathe. The air is fresh, no metallic or disinfectant smells. Damp greenness, of garden below and fields beyond that shimmer in the early light. And somehow, I know. The city was never mine. I was – am – a country girl. Sure of it like breathing, certain this is a place that is more like home to me. Not like home, it is home: yesterday, today, how many more future days I do not know. there is no way to know if they are true or not. Applying sense to the unknown to order it, just the way I draw diagrams, maps. Faces. Below, the glistening grass, fallen leaves in swirling patterns of so many rich colours, and most especially the fading flowers along the house, all beckon. All yearn to be captured, ordered, to become lines on paper. I pull the window in quietly and slip across the room. Amy lies silent and still, chest movements slight and even. Two green eyes watch from the end of my bed. ‘Ssssh. Don’t wake Amy,’ I whisper, and run a hand across Sebastian’s fur. He stretches and yawns. Where are my sketching things? Amy unpacked my bag yesterday afternoon. I was too fuzzy headed to get involved, all the new things and people taking too much attention. I open one drawer, then another; carefully and quietly, until I find them: my folder of drawings, sketch pad and pencils. I take them out and underneath spy chocolates, given to me as a parting gift by the tenth floor nurses that last morning. Just yesterday, I realise, surprised. It seems longer ago than that; already part of my past. My levels are 6.1. Not low at all. I don’t need a chocolate. But who needs an excuse? I open the lid. ‘Oh, I remember that. Horrible morning buzzer. Breakfast by six.’ She shudders. ‘Want one?’ I hold out the box. I hesitate. I rarely show them to anyone, though Dr Lysander insisted on checking through them now and then. the other half skin missing, eyeball hanging from an empty socket. ‘May I?’ she holds out a hand, and I pass the drawing to her. But that wasn’t on top before. I start flipping through the sheets. Not enough of them, not as thick a sheaf as it should be. Where are they? I nod. And look through them more slowly. places, are present and accounted for. Many others are not. hospital, maps of different areas, rooms. Dr Lysander. ‘Did you say, Dr Lysander?’ Amy’s eyes open wide. I nod, still looking through the sheets, convinced if I look hard enough, they will all be there. I stop looking. They’re not here. Gone. Bzzzz. A warning from my wrist: 4.3 and falling. Amy slips an arm across my shoulders. I’m shaking, but not from cold. Who would do this: take the only things I have that are mine. ‘You can make more drawings. Can’t you?’ 3.9 and falling. Amy gives me a shake. ‘Look,’ she repeats. I tear my eyes from my self-portrait, from the dead eye in the socket. To Amy. Worry and fear for me in her eyes, whoever I am. She pulls the sketch pad from the back, puts a pencil in my hand. 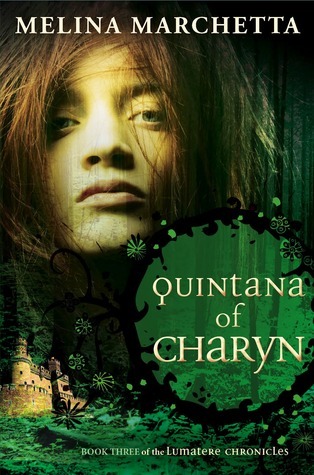 After reading Froi of the Exiles by Melina Marchetta I can't wait to read Quintana of Charyn. This won't be released until October 2012 so it's a little bit of a wait! I haven't been able to find a synopsis yet but that won't stop me from sharing this with all of you. First Lines: Sela's art was dead inside, just like her hoper. But she tried. Jackie has done it once again. 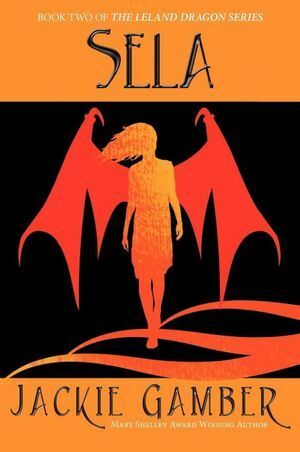 Sela, the second book in the Leland Dragon series is about the daughter of Kallon and Riza who is stuck in human form after a frightening encounter. 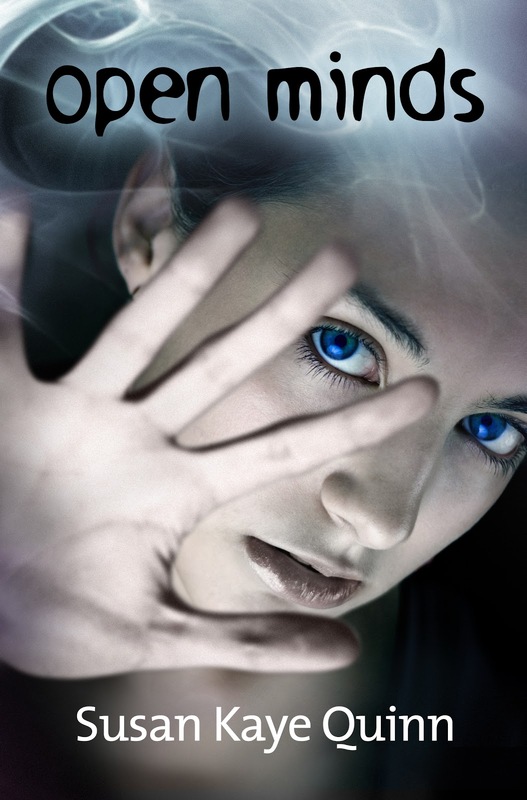 She lives with her Uncle Orman a wizard who has been able to keep her out of the spotlight up until now. I was completely absorbed with this book from beginning to finish. So many wonderful characters in this story that I just don't know where to start. Sela the main character is a naive young woman trapped in a human and kept away from her parents for her safety. Not that she's happy of this. I really liked her spirit from start to finish. She just had that way about her that you could just fall in love with her as a character. Banon was another absolute favourite of mine. From the first run in with Sela to the castle scenes I couldn't help but think of him as a charming guy. Jackie has done a brilliant job of really bringing the reader in amongst the action. I was so absorbed that I didn't realise the pages flying by until I hit the final climax of the book and I've thought, "Is this over already?". While I don't want to reveal too much of the story, if you loved Red Heart you will not be disappointed in the next instalment in the Leland Dragon series. Looking forward to book number three! Thanks to Pan Macmillan for this! Thank you to Brian for sending this to me. 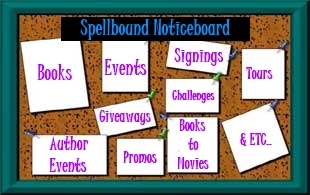 Book Blogger Influences: Has there been a particular book blogger who's influenced what you read? Share with us a review/book blog that convinced you to pick up a certain book. There have been a number of Book Blogger influences over the last couple of years. I think the biggest one would be The Story Siren. There is so much going on that there is always something awesome posted up when I go to look. Ink Crush is another very awesome blog that I frequent! She's an Aussie blogger too so that makes it super awesome knowing that! 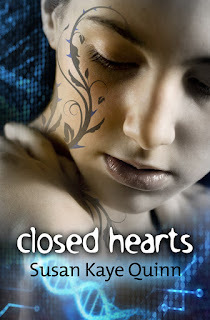 She lists alot of Aussie YA reading material but it's not limited to just that. If you have time, make sure to check it out! Has there been a particular book blogger who's influenced what you read? 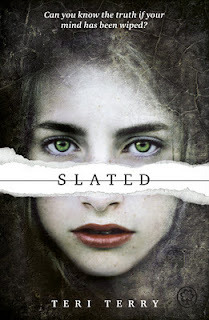 Thanks to the awesome Laure from Hatchette Children's Books, here is the 2nd excerpt of Slated by Teri Terry. The third excerpt will be posted on the 26th April so stay tuned! out of the car, then turn back when I don’t follow. ‘Come along, Kyla.’ Mum’s voice is impatient. beginning to twist as the look on her face matches her tone. more annoyed as each one passed. nothing and bite the inside of my cheek, hard. cranky that your first dinner is going to be late. Anyhow, you haven’t been in a car before, have you? this time it is because she is being nice. So I try a smile, a small one, but it is for real this time. around before we go in?’ she says. all small stones that crunch and move underfoot as we walk. A square of green grass covers the front garden, a massive tree – oak? – to the left. Its leaves are a mix of yellow, orange and red, some spilling messily underneath. Leaves fall in autumn I remind myself, and what is it now? The 13th of September. There are a few red and pink straggly flowers either side of the front door, petals dropping on the ground. And, all around me, so much space. So quiet after the hospital, and London. I stand on the grass and breathe the cool air in deep. It tastes damp and full of life and the ending of life, like those fallen leaves. dominates one wall. A TV? It is much bigger than the one they had in recreation at the hospital, not that they let me near it after the first time. Watching made my nightmares worse. Mum says, and I jump. another hall with three doors and more stairs going up. the end is the bathroom, we’ll share. They have their own one upstairs. And this is your room.’ She points left. The door is part open; I push it and go in. already on the floor where Dad must have put it. There is a dressing table with drawers and a mirror above it, a wardrobe next. No sink. A big wide window that looks out over the front of the house. have told them. In case I have nightmares. I often do and if no one is there fast enough when I wake, I drop too low and my Levo knocks me out. I sit on the other bed. There is something round, black and furry on it; I reach out a hand, then stop. I touch his fur lightly with a fingertip. Warm, and soft. He stirs, and the ball unwinds as he stretches out his paws, puts his head back and yawns. this is different. He is so much more than a flat image: living and breathing fishy breath, silky fur rippling as he stretches, big yellow-green eyes staring back into mine. ‘Meow,’ he says and I jump. Amy gets up, leans across. along his fur from his head down to his tail. I copy her, and he makes a sound, a deep rumbling that vibrates from his throat through his body. across the room. Sebastian still purrs faintly beside me when I stroke him. The door is part open for the cat, and sounds drift up the stairs. Clattering kitchen noises. Voices. ‘She’s a quiet little thing, isn’t she.’ Dad. ‘Still won’t,’ he says, and laughs. And a door shuts downstairs and I hear no more. wanted to stay there forever, but within those walls, I knew where I was. How I fit, what was expected. Sebastian will be better than chocolate to pull me back from the edge if I get low. And the food is much better. My first Sunday roast dinner. We do this every week, Amy said. tub to soak in – had me at nearly 7 by bedtime. Mum thinks I am odd. I must remember not to stare at her so much. Sleep settles around me and her words drift through my brain. Have I had other chances? sucked in and out until my lungs might burst, and still I run. Terror snaps at my heels. I could turn and face it, see what it is. I struggle then realise it is Amy whose arms are around me. The door opens and light streams in from the hall. ‘What is going on?’ Mum says. My heart rate is slowing; vision, clearing. I push her away. I say the words, but part of me is still running. First Lines: They call her Quintana the cursemaker. The last female born to Charyn, eighteen years past. Three years after the curse on Lumatere was lifted, Froi has found his home - or so he believes. I was a bit hesitant to picks this up to begin with. The size alone is large for a YA novel and not only that, this was going to follow Froi of the Exiles. The POV's do change throughout the story but I wasn't sure if I was going to like Froi. In Finnikin of the Rock, he's almost savage, knowing no manners and being reduced to the most base of boys coming of age. 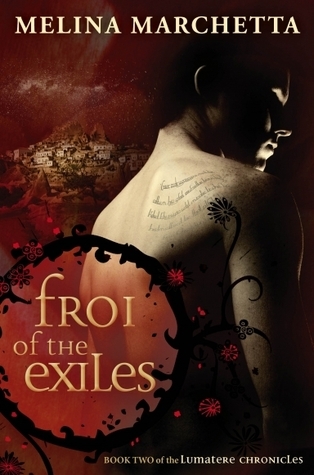 To my surprise, the story of Froi of the Exiles takes place three years later and he has come a long way. In saying that there are still hints of his dark past laced throughout the book but I found myself completely absorbed with his POV all the way through. We get to see what is happening with Froi, Beatriss, Lucian the Mont and Finnikin and Isaboe throughout the story but alot of my attention was drawn to Froi's travels to Citavita and the curse that lay about the Charynites 18 years ago. While not going into too much detail we get to find more about Froi's past as well which gives him more depth as a character. Another character in this book that we are introduced to is Quintana, a strange princess that lives in the Citavita. One moment she's strange the next she's almost normal, and I really liked how this character stood out from the rest of the others even if she was a little crazy. Actually now that I think about it, it was because she was crazy that I loved her. So blunt and to the point at times then others as innocent as a little girl. Such a complex character. Like I said, the story is long but it's one that you will want to savour every page and absorb the words completely. I love how Melina has created the land of Skuldenore. She has really brought them to life that I can see the places, the landscapes, the people. I also love how there are maps situated at the beginning of the book and I felt myself constantly going back and forth following each characters journey throughout the lands. This is a big winner for me as I used to struggle to visualise purely fictional places when I was younger. 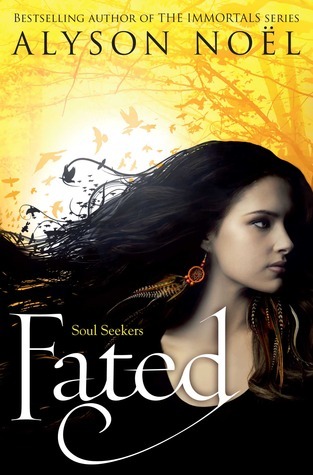 After reading this I'm itching to read the third book in The Lumatere Chronicles but I must say I felt this was for the higher end of the young adult market, possibly for at least fourteen and above as there are discussions of mature nature laced throughout. If you haven't picked up Froi of Exiles yet I recommend this read but make sure to read Finnikin of the Rock as there are references throughout the book that link back to the first book. Don't be intimidated by the size of this book either. After turning the last page I wished the book was just a tad bigger. Just sayin'. a BIG thank you to Pan Macmillan for sending this to me!! I thought I'd really struggle with this one but when I scrolled through the list of songs in my phone I could have picked quite a few that I would love to see in book form so here's mine. My second pick would be Run For Your Life by The Fray. Just listening to the words makes you think how much of a tough story it would be to write. Both songs I picture being paranormal stories. If you could read a book about any song, which song would you love to see written down in story form? 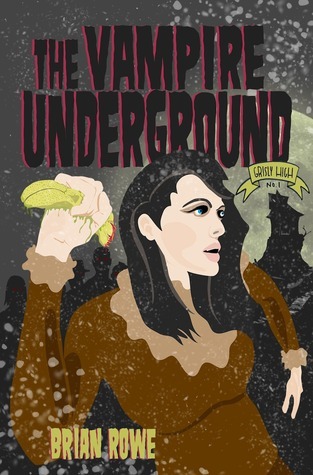 Thanks to the awesome Laure from Hatchette Children's Books I've been lucky enough to be given 1 of 4 excerpts from Teri Terry's book Slated which will be released in May 5th. Hope you all enjoy! Stay tuned as the next excerpt will be 19th April. Fists of waves claw the sand as I force one foot to pound after the other. Scramble up, slip down, repeat. Faster. Eyes fixed on dunes ahead. Don’t look back. Mustn't look. 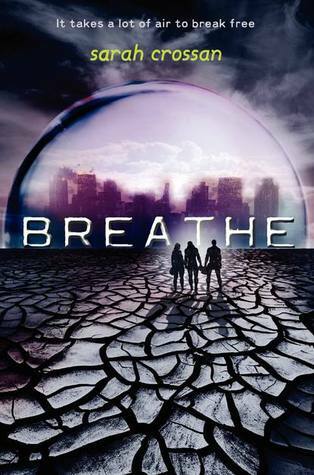 Ragged breath; in, out; in, out. Still I run. All right, I haven’t got much experience on which to base this judgement. I may be sixteen and I’m not slow or backward and haven’t been locked in a cupboard since birth – so far as I know – but Slating does that to you. Makes you lacking in experience. It takes a while for everything to stop being firsts. First words, first steps, first spider on the wall, first stubbed toe. You get the idea: first everything. Bzzzz: a gentle warning vibration from the Levo atmy wrist. I look down: I’ve dropped to 4.4, the wrong side of happy. So I have a square of chocolate and it starts a slow climb up as I savour the taste and watch. ‘Honestly, David,’ Mum says, but she is smiling also. ‘Have you heard the one about the doctor who couldn’t tell his left from his right?’ Dad says, and launches into a long story of surgical errors that I hope never happened in my hospital.